Last week, 27 Texas climate scientists wrote to Texas Governor Abbott offering to sit down and brief him on the science of human-caused global warming and its projected impacts on Texas. They wrote that "climate change is happening, it is primarily caused by humans, and it is having a devastating impact on Texas, including increasing deadly flooding resulting from Hurricane Harvey." It's not too late to act to protect the well-being of every Texan. But it requires leadership. 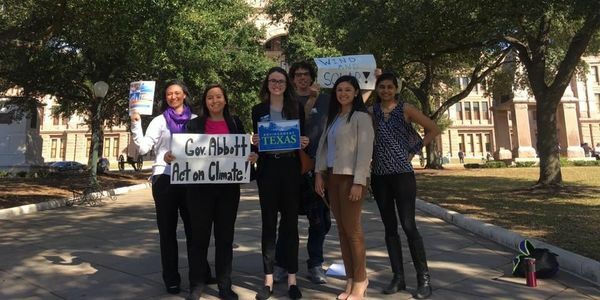 So sign this petition to Governor Abbott urging him to put politics aside, take the scientists up their offer for a briefing, and then take steps to reduce Texas carbon emissions.